Methow Valley School District Launches Methow Valley Elementary School Search and Selection Process: A Call for Exceptional Candidates :: Methow Valley Schools • Every Student Shines! Working within the framework of an aspirational “Strategic Vision”, a vision defined by the development of curious, creative, competent, compassionate, action-oriented students who graduate prepared to change the world, the Methow Valley School District is formally accepting applications from exceptional candidates who wish to be considered for the position of Methow Valley Elementary School Principal. The development of a coherent “System of Exceptional Teaching and Learning” defined by it’s recent International Baccalaureate – Primary Years Program designation.. The establishment of a robust “Early Childhood Education and Childcare” program that includes a full-day pre-school program in partnership with Head Start and a highly engaging after-school childcare and Cub Club enrichment program, ensuring all students and families have affordable, high quality early learning and childcare opportunities. A caring, compassionate approach to “Family and Community Engagement” that includes elementary counseling services, expanded nursing services, and increased levels of special education staffing and training. Many academic, athletic, and community service related honors. 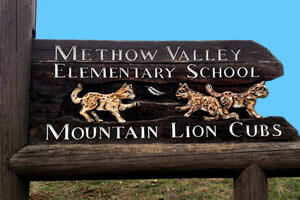 Exceptional candidates wishing to be considered for the Methow Valley Elementary School Principal position are encouraged to submit their application no later than Friday, February 15, 2019. An online application can be accessed from our Employment page. Questions regarding the position, selection process, timeline, and/or application procedures can be directed to Patty Barker, Executive Secretary of the Methow Valley School District at pbarker@methow.org or (509) 996-9205.